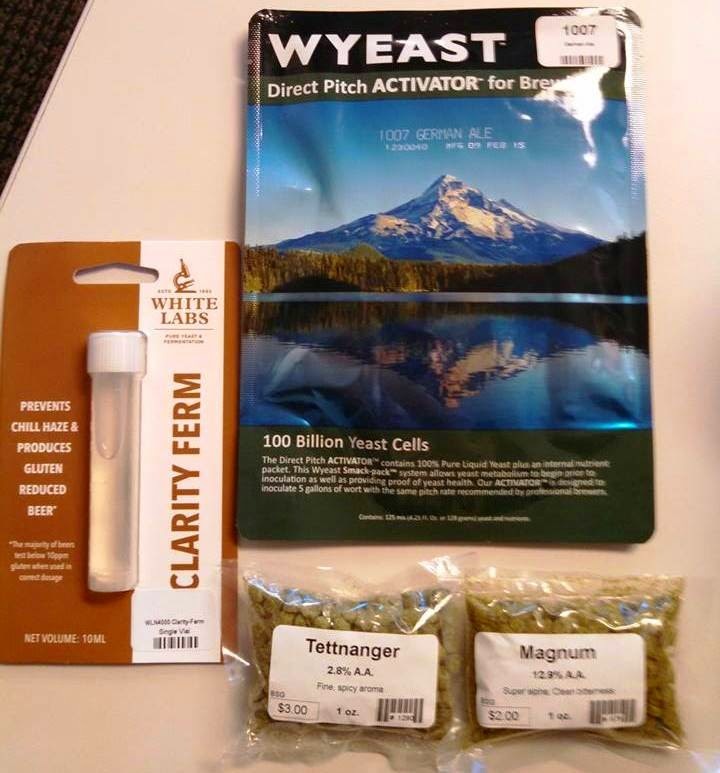 I like doing articles for The Homebrew Academy's blog because it makes me feel like a legitimate beer blogger. I've done a couple articles on that blog before, but it has been a long time. In the Spring of 2012, I did a couple of posts about my world-famous Gringo Cerveza Jalapeño Ale. See Jalapeños in the Popcorn and Adding Jalapeños. Unfortunately, the blog recently underwent a few changes that deleted my profile and the two articles. Bummer. Billy, who runs the The Homebrew Academy assure me that he is trying to get those back in place. Anyway, Billy asked me, and I agreed to become a more regular contributor to his blog. So, stay tuned for more of my homebrew related articles there. For what it is worth, this is my first professional writing arrangement. It is not very much money, but it is exiting for me none-the-less. This weekend, I am brewing my award-winning (did I mention that it won an award) Sasquatch Hunter German Altbier. I bought the ingredients yesterday. I'm making a starter as I write this. I'll brew it tomorrow. Yes I will. I am not sure why it has taken me so long to brew this beer again. I mean ... you may not have heard, but this recipe won me a blue ribbon in the NHC. More importantly, though, it was a beer that I really enjoyed drinking. Maybe even more importantly, my wife enjoyed it too. It is one of those classic styles of beer that I really enjoy. You know, one of those styles that too many beer geeks ignore in favor of bigger and more bold hop bombs? It is clean and malt. It is extremely drinkable. It has a nice presence of hops without being overpowering at all. This is the kind of beer I think more of us craft beer ambassadors should be introducing to BMC drinkers to transition them to our side. My recipe doesn't follow the Reinheitsgebot, because it is one of those recipes in which I use Clarity Ferm, but it is pretty close. And it is delicious, if I do say so myself. Others think it is delicious too. Did I mention that it won an award? Anyway, I'll be sure to let you know how brew day goes. Watch the SheppyBrew Facebook page tomorrow for the play-by-play. It is time for me to check my starter. Don't forget to check out Is Reinheitsgebot really a four letter word? and LEAVE A COMMENT!